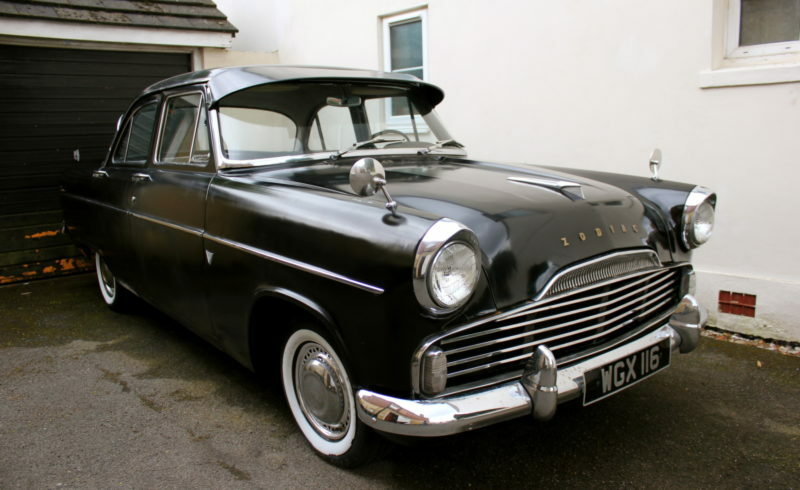 Your looking at a 1959 Ford Zodiac Left hand drive, This car was built on the 6th March 1959 in Dagenham to be export to Zurich Switzland to be used as a Consulates car. It comes with the original sale receipt from 1959 which is very rare, which shows the optional extras that were requested. Not a huge choice of extra’s but it does have the very desirable overdrive fitted. We have quite a bit of service history with the car, many old receipts and old mot’s dating back to the early 80’s. it comes with the original owners manual. Now in 2014 the paintwork is showing its age and is faded in places. The interior is decent and useable but the seats are quite worn. It has the original 3 speed column change with overdrive which works well and is very smooth.